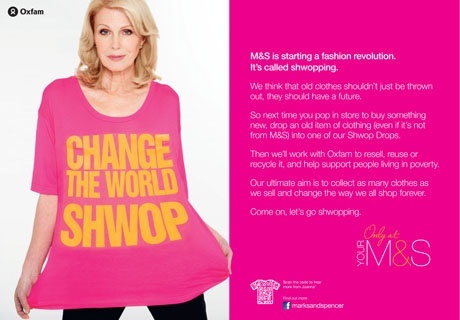 Marks and Spencer wants customers to hand over an item of old or unwanted clothing whenever they purchase new ones, to encourage a ‘buy one give one’ culture which would allow charity partner Oxfam to resell, reuse, or recycle discarded garments. 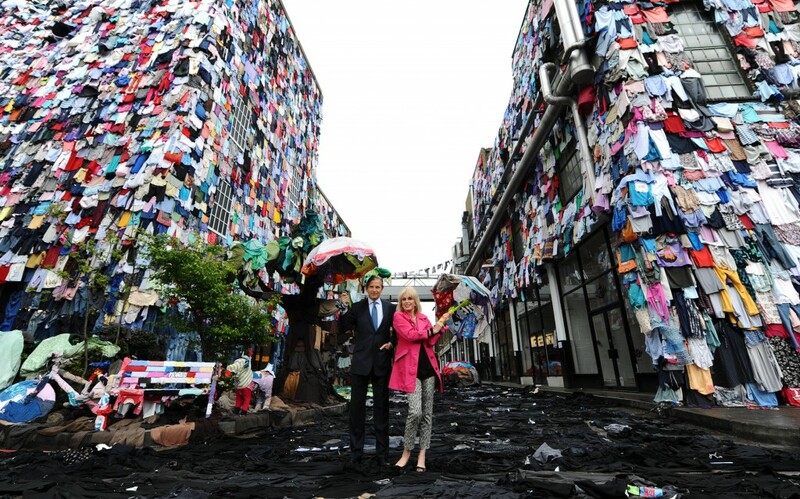 The campaign, dubbed ‘shwopping’ is an expansion of the partnership that began in 2008 and is part of M&S’s Plan A programme; where donors of M&S garments to Oxfam stores would receive £5 vouchers – only this initiative encourages customers to recycle across it’s many 342 stores for goodwill, not incentives. According to the Department for Environment, Food and Rural affairs, UK consumers throw away 2 million tonnes of clothing each year, half of which ends up in landfill, this campaign is a fantastic way to inspire the great British public to reduce this extreme number and donate to a good cause. The only negativity to come from this inspiring campaign, is fears that smaller charity shops could miss out on donations to Oxfam. I say, a large scale campaign highlighting the benefit of donating is beneficial for charity shops large and small – not simply Oxfam – and reinforces to the consumer that discarded items have much better uses than ending up in the bin. To give the campaign a visual element, M&S and PR agency Unity used just five minutes worth of UK clothing waste usually destined for landfill – 9,513 pieces – to transform a London street. According to the agency, ‘everything from walls, the road, and the pavement to a fabric-strewn bench, car and even a dog illustrated future uses for old clothes’.